By November, autumn is in full swing. Pumpkin spices, cold weather, and crunchy leaves are a few great things about the pre-holiday season. Here are a few snippets of information to help you celebrate with your pet! This time of the year, pumpkin spice is the number one flavor. We know you have your pumpkin spice latte in one hand and your pumpkin bread in the other. But, Fido can also enjoy pumpkin spice with you! 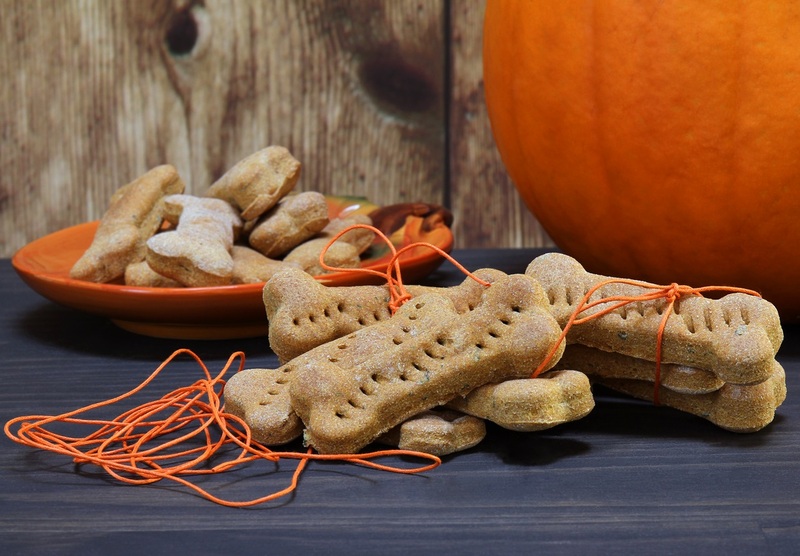 Greenies, Blue Buffalo, Grandma Lucy’s, and Trader Joe’s are just a few brands that offer pumpkin-flavored dog treats! With one fall holiday celebrated and passed, another is approaching quickly. And before you sneak a treat to your dog under Thanksgiving table, consider these tips courtesy of the American Veterinary Medical Association (AVMA). Fatty foods can be hard for your pet to digest, including turkey and turkey skin. Eating these fatty foods can lead to pancreatitis in pets which can be very harmful and even deadly. Also, any foods that contain chocolate, and any that may have the artificial sweetener xylitol could be very poisonous to your pet and should be kept out of reach. The AVMA also provides insight for families celebrating the holiday at their house with pets. If you are hosting Thanksgiving, be sure to keep your pets in a safe area if they get anxious around guests or strangers. Be aware of the exits in your household; with the traffic entering and leaving, many pets may take that opportunity to explore outside. The full Thanksgiving AVMA article can be found here. VetMeasure hopes you and your pet have a happy Thanksgiving!